Rocksteady Studios’ inaugural outing with the Dark Knight is an absolute game-changer in the realm of Batman gaming, wider comics-based gaming, and the action-adventure game itself. 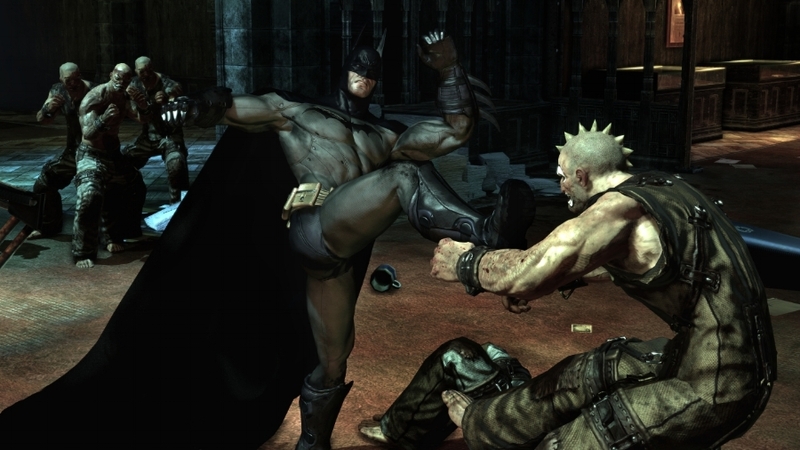 Comic book video games have had a well-deserved reputation of mediocrity for years, but in a single swoop, the Dark Knight has re-entered the field and saved he and his fellow heroes from obscurity: Batman: Arkham Asylum is a revolutionary video game descending from the iconic characters of comics. Developed by Rocksteady Studios and published jointly by Eidos Interactive and WB Games, Arkham Asylum is a third-person adventure game that puts you in the boots of Batman for one of the longest nights of his life. After capturing the Joker with a little too much ease, Batman returns him to the infamous Elizabeth Arkham Asylum for the Criminally Insane. Sensing something’s not quite right, Batman decides to accompany the Joker to patient processing, when all hell quickly breaks loose in the form of Joker’s “main squeeze” Harley Quinn setting him free. Joker’s freedom, coupled with the fact that practically his entire legion of thugs and followers was moved into Arkham when their prison “mysteriously” caught on fire, means that the inmates began running the asylum, and that Batman was caught right in the middle of it. Cut off from the outside world and resolving to see the Joker safely locked away once again, Batman stays on Arkham Island and has to go through almost his entire storied rogues gallery before he can get his hands on the Harlequin of Hate and put a stop to his latest plot. The game’s innovative “freeflow combat system” makes you feel like the Dark Knight, giving you the advantage against dozens of opponents at once. 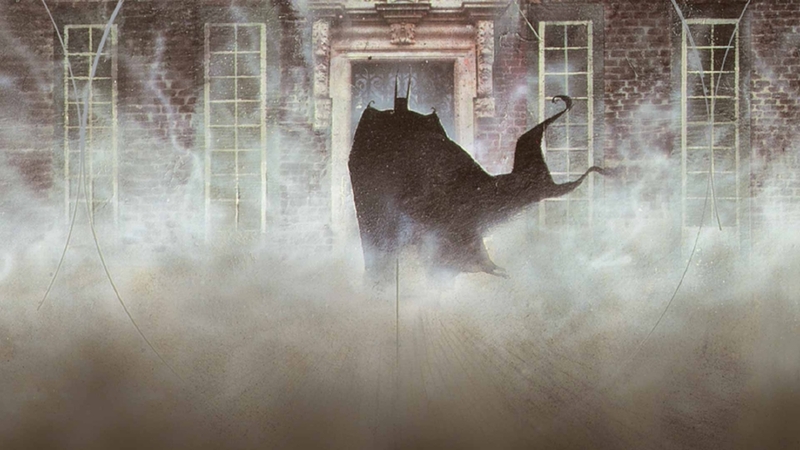 Arkham Asylum was, and is, one of the richest Batman experiences anyone could ever hope to have. Taking the best elements from the long, seventy-year mythology of the Batman character, the developers at Rocksteady Studios craft a game that really allows players to actually feel like Batman. Before Arkham Asylum, it was very hard to find any gameplay experience that could drop you in the middle of a room full of dozens upon dozens of brutal thugs, and make it feel like you still have the advantage. Above all, this may be Arkham Asylum‘s greatest feat. Almost taking a lesson from Henri Ducard’s lessons to Bruce in Batman Begins, “You know how to engage six men, we can teach you how to engage six hundred.” In this game, you feel like that’s possible. Previous superhero experiences that were considered “good” before the dawn of the Arkham franchise never got close to the kind of power you feel like you’re wielding in these games. It’s not all punches, kicks, and somersaults, though. In addition to being an incredible fighter, Batman is also an unmatched agent in matters of stealth. While Batman could easily engage dozens of unarmed henchmen with relative ease, putting guns in their hands is a bit of a different story. In these moments, you have to be quiet, using the rafters and the shadows to stay out of sight and take each armed henchman down, one by one. As the game progresses, it becomes more difficult to stay in the dark as some hiding spots that you may favor will eventually be booby-trapped. This forces you to find alternate ways of defeating your enemies, in as stealthy a manner as you can devise. The game also makes your strikes from the shadows very satisfying by allowing you to visibly see what your enemies are feeling. After you take a couple of henchmen out and their partners find the unconscious forms, they began to get visibly scared, and start saying things like, “Oh man! That’s it, we’re screwed!” Yes, you are. I’m Batman. Throughout all this, you get to utilize “Detective Mode.” This is an incredibly helpful tool inside your cowl that allows you to see x-rays of enemies, whether or not they’re armed, if there are any structural weaknesses in the area, and special switches you can use. This compliments your utility belt, which allows you to use a variety of different gadgets in order to increase your effectiveness in battling on Arkham Island. The usual suspects like the Batarang and the grapnel gun are there, as well as the “cryptographic sequencer” (allowing you to bypass locks and security gates), “explosive gel” (where you can place it over structural weaknesses and blast through walls into passages or hidden items), and the line launcher (which allows you to traverse wide, horizontal gaps). The creative use of gadgetry, and the infinite possibilities each one’s use creates is one of the things that makes this a definitive Batman experience. It’s incredibly satisfying taking down an entire room of henchmen, especially when they never know what hit them. That’s just the tip of the iceberg, though. While Batman’s all-out fisticuffs prove to be the stuff of legend, reading any comic book or watching any movie will easily show you that his fights with his most dangerous enemies are rarely one-on-one fistfights. 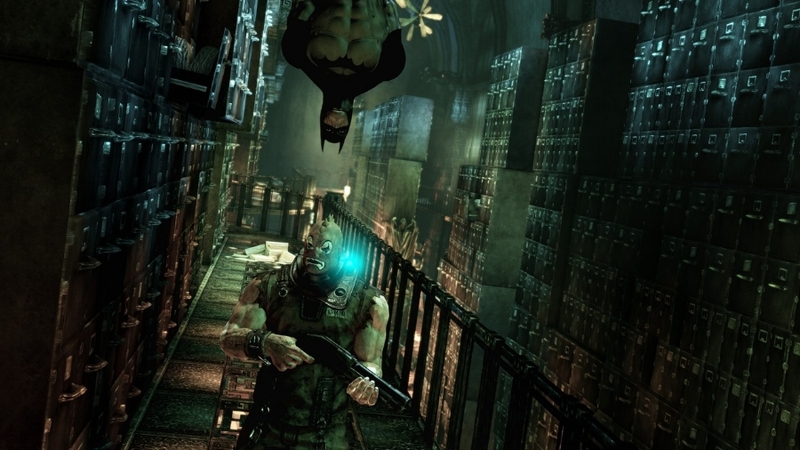 The genius of Arkham Asylum lies in the fact that it forces you to adapt your tactics based on which enemies you fight. For instance, you absolutely cannot use the same tactics against Bane as you use on Poison Ivy. If you tried to simply run up and punch the venom-powered behemoth that famously “broke the Bat,” you’d obviously fail, and the game takes that into account. You have to be smart, waiting for proper openings at which you can damage Bane enough that he can go down for the count. On the other hand, with someone like Killer Croc, he’s such a mindless monster that you could never hope to stop him fully. By this point in the game you need to find something on the island that’s only found in his lair, and the things you need to have in abundance are patience and timing, so that you can slow ol’ Waylon Jones down long enough to get what you need from him. Some bosses, though, are a bit more nuanced, as is the case with one of Batman’s most absolutely dangerous enemies: Dr. Jonathan Crane, aka the Scarecrow. In some of the best orchestrated events in modern gaming history, there are three separate instances where Dr. Crane uses his famous fear toxin on the Dark Knight in order to attempt to break his mind. Turning these incredibly bookended segments into partial stealth platforming pieces, the object makes you search for a symbolic representation of Batman’s willpower: in this case, the Bat-Signal. Once you reach it after avoiding the deathly gaze of the Scarecrow, you shine that light at him in his own nightmarish world and break his grip on you in some of the most absolutely satisfying points in the entire game. The Scarecrow moments are some of the absolute best in the game, forcing Batman to overcome mental trauma at the hands of Dr. Crane. The visual design of the game is a hodgepodge of highly skilled artists in different elements, which combine into the eerie, creepy, almost claustrophobic feel you get from the environments, along with the definitive, yet decidedly more realistic character designs. The design of the Arkham facility itself seems to have a lot of different influences, only some of which are derived from the comics. In the game, Arkham Island has three basic areas populated by five different buildings, all designed perfectly for their purpose. The buildings include the Arkham Mansion, the Botanical Gardens (guess who you run into there? ), the Intensive Treatment ward, the Penitentiary, and the Medical Facility. Much of the visual feel of the island reminded me in no small way of Grant Morrison and Dave McKean’s 1989 original graphic novel Arkham Asylum: A Serious House on a Serious Earth, and it seems like much of the backstory surrounding the troubled Amadeus Arkham and his mother was lifted from there. The design for the other buildings is sort of like a cross between, say, a hospital, a rundown, condemned building, and a haunted house. You get the hint relatively early on as you're making your way through an air duct and encounter a human skull that this may not be the most conducive mental health facility, but the atmosphere and attention to detail still awes even to this day. The story was written by Paul Dini, a veteran of “Batman: The Animated Series” and of one of DC’s main Batman comic book titles, Detective Comics. Dini crafts a story that’s reverent, true to character, and very interesting. In the hands of lesser developers this story may have hit a bit of a lower note, but the creative energy of Dini coupled with the production design truly help to make this a very memorable Batman adventure, the only difference being you actually get to experience it and drive the plot forward yourself. The voice cast, of course, consists of BTAS alumni Kevin Conroy as Batman, Mark Hamill as the Joker, and Arleen Sorkin as Harley Quinn. True stand-outs new to Batman through the Arkhamverse are Wally Wingert as the Riddler (whom you only ever communicate with via comm) and Dino Andrade as the creepy and cackling Scarecrow. Now that things are just about all said and done with this console era, I have absolutely no reservation in telling you that I feel Arkham Asylum easily counts as a top 10 experience on this generation, and has established some big shoes to fill in the years to come. If you managed to miss it, go back and play it. If it’s been a while, go back and play it again. For Batman fans and adventure game fans alike, it just doesn’t get any better...or does it?